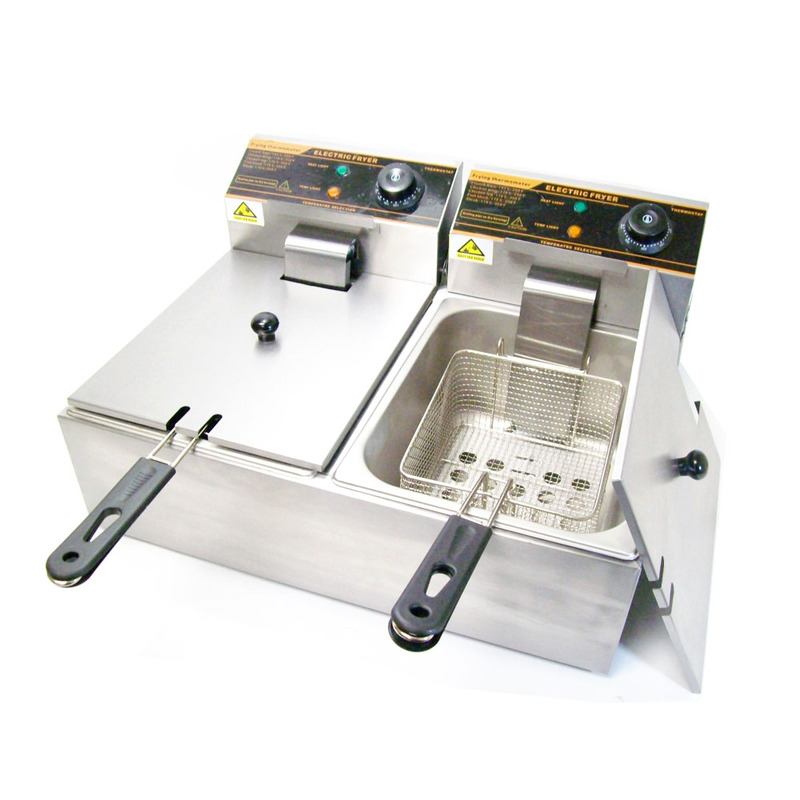 Our Stainless Steel Deep Fryer is perfect for your home kitchen or your small business! You are viewing our Brand New Stainless Steel Electric Dual Tank Deep Fryer which works great for frying all kinds of food. Our Deep fryer has a 5000 watt immersion element for fast heating and comes with two removable stainless steel baskets with a combined 10L of food cooking capacity! 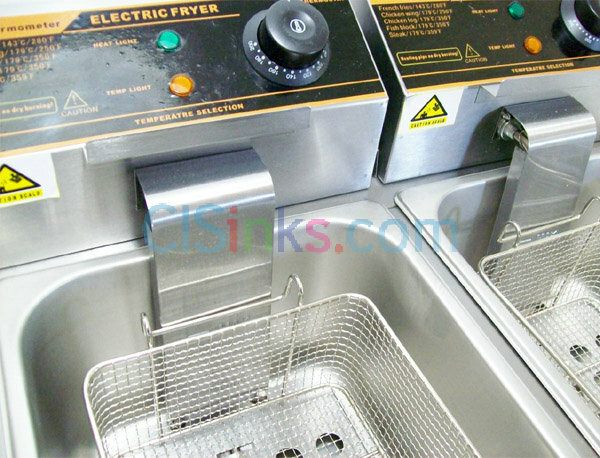 Our Deep Fryer is great for frying chicken, dumplings, egg rolls, shrimp rolls, mozzarella sticks, jalapeno poppers, or any thing else that needs to be deep fried!With the reasonable price, this Deep Fryer is adequate for commercial use in food trucks, restaurants or fast food stands, snack bars or at home. -Overall Dimensions: 21.75" x 16.5" x 12"
-Tank Dimensions: 12.75" x 10.5" x 5.75"
-Basket Dimensions: 9.44" x 11.81" x 6.02"
-Lift Covers for preventing boiling oil from splashing. 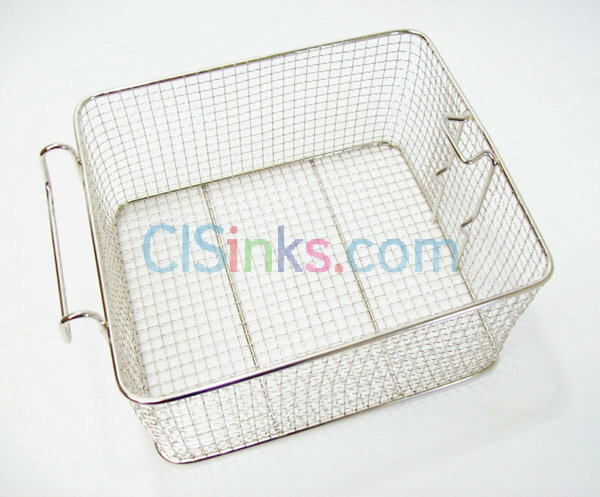 -Fryer Baskets with Plastic Handles to preventing scald. 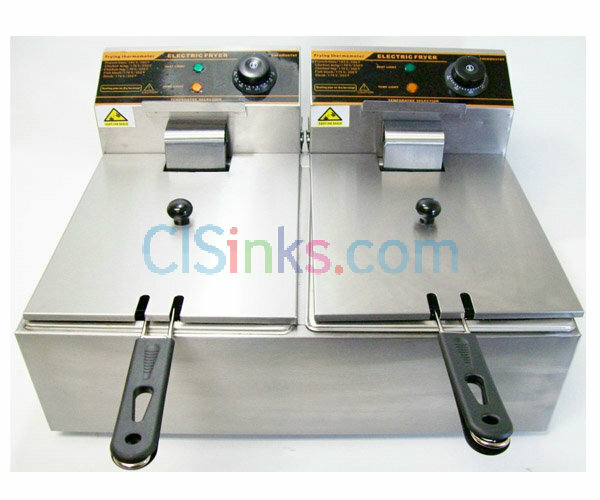 Warning: Our dual-tank fryer has separate power plugs for each tank. If you use one tank only, please make sure that the correct plug is connected. If you leave the machine turned on, without any oil, it will burn out. 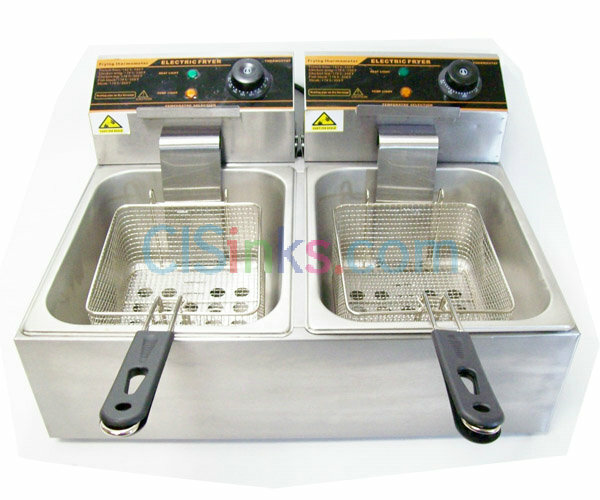 1x Dual Tank Stainless Steel Deep Fryer. 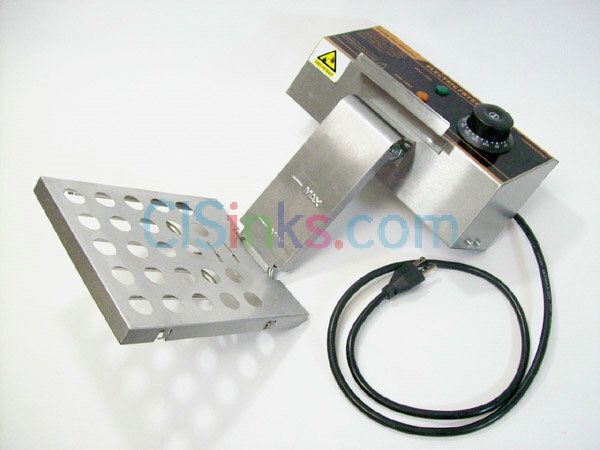 *Due to manufacturing process machine must be cleaned with soap and water before use.